The Stirling Smith has a historic collection of Scottish tartans, woven in Wilson’s Mill, Bannockburn, 1750 – 1830. Until 29 January, there is a special exhibition on the development and creation of one of Scotland’s newest tartans – the Alzheimer Scotland tartan. The “Disrupting Dementia” tartan design project was the brainchild of Professor Paul Rodgers of the University of Lancaster, a man who believes that the design process should be there primarily to serve the needs of people as well as to create new products. The project involved Rodgers visiting 17 different Alzheimer Scotland centres, travelling over 80 hours and nearly 2,000 miles from Kilmarnock in the south to Shetland in the north and Stornoway in the west to Bonnyrigg in the east. At each location, Rodgers co-designed tartans with people living with dementia using a range of materials including coloured acetate and ribbon. 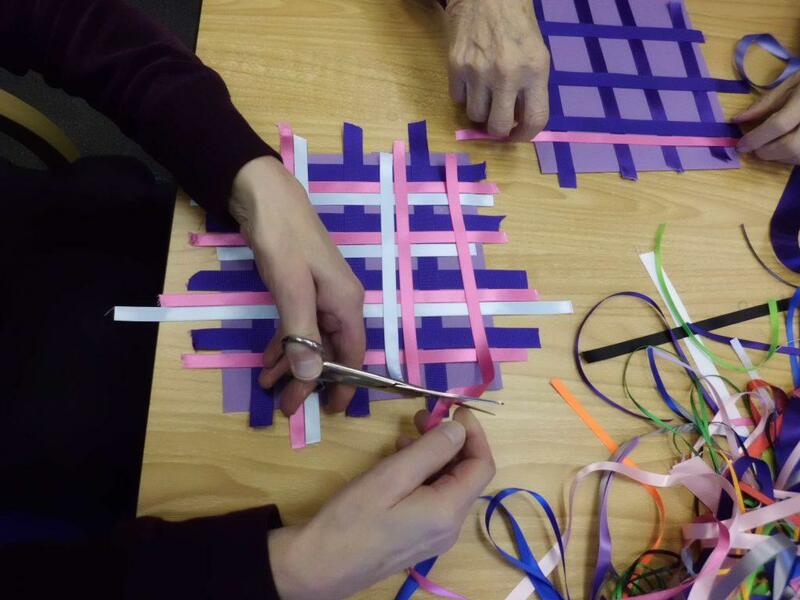 In total, Rodgers worked with over 130 people living with dementia across Scotland helping them to design their individual version of the “Disrupting Dementia” tartan, using over 0.5km of different coloured ribbon in their prototype creations in the process. A selection process then took place, followed by computerised design and production sessions to manufacture the new tartan in the distinctive colours of Alzheimer Scotland. We are pleased to have this exhibition in dementia – friendly Stirling.